Searching For The Best Generac Dealer In Oceanport, NJ? We know that trying to find best Generac Authorized Sales & Service Dealer in Oceanport, NJ can be one of the most challenging parts of the Generac generator installation process. Hopefully, you can stop searching now! Locally owned and operated, Green Sun Energy Services is protecting Bruno's family, along with hundreds of other homeowners from unexpected power outages. Together we can help find the right Generac home backup solution for you and your family. Why Install A Generac Generator In Oceanport, New Jersey? Because you'll be able to stand up to unpredictable weather and unforeseen power outages in Oceanport with a natural gas generator made by Generac, the most trusted name in residential standby power. The standby generator is connected to your existing natural gas supply and electric panel. As a result, it will automatically start within seconds of a power loss and protect you and your home 24/7. Yout don't worry about having to be there to start and stop your Generac home backup generator. Because it does that automatically. Whether you're home or away. Your Generac home backup generator runs on your existing natural gas or LP fuel supply. Save the gas cans for your other outdoor power equipment... and no standing on line waiting for gas! You'll never have to run an extension cord through a window or door again. Your Generac home natural gas generator safely delivers power right to your home's electrical panel. Allows you to monitor the status of your generator from anywhere in the world using a smartphone, tablet, or PC. Easily access information, such as the current operating status and maintenance alerts. Most homes don’t use all the power their electrical panels suggest. Even if every appliance ran at the same time, it’s rare for the total power consumption to equal the main panel capacity. Therefore, most homeowners will find that an air cooled standby generator with the right Automatic Transfer Switch is all they need. We know a home backup generator is a big investment. So, here's what you need to know to make an informed decision about your Generac home backup generator purchase. How Do I Choose the Right Generator? Do your best to understand your back up needs. For example, do you want the whole house on the generator or just certain circuits? Knowing this will help us properly size the generator with you. We use a custom developed sizing tool that helps us determine the right home backup generator for your unique needs. What's Involved in installing a Generac Generator in Oceanport, NJ? Installing a natural gas generator is an exciting time, but it takes a lot of work. But, you don't worry, because we'll process all of your permits and register your generator with the natural gas company. Once approved, we'll deliver the generator, prepare the installation site, and install the concrete pad. Next, we'll run the natural gas line, install the transfer switch, and make all of the connections. After you've passed your Oceanport township inspections, we'll make sure that you generator is ready to do its job when the power goes out. Why should I Trust Green Sun Energy Services? Green Sun Energy Services, LLC is a Generac Authorized Sales and Service Dealer. Headquartered in Middletown, NJ our local team has installed and currently maintains hundreds of Generac generators throughout Monmouth, Ocean, Middlesex, Somerset, Mercer and Union County. Check our our reviews and give us a call! 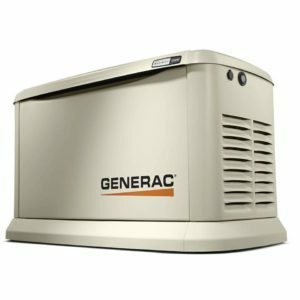 How Do I Get A New Generac Generator In Oceanport, NJ? The best way for you to get started is to compete the Generator Estimate Form and we'll call you within 24 hours to discuss your needs. We can typically provide you with a base price over the phone and set up an free, in-home consultation if you like. As a Generac Authorized Sales and Service Dealer, we can provide our New Jersey based clients with the following Generac Guardian Series™ Generators. After investing in a new Generac generator, it will need to be properly maintained to perform as intended. Through our PowerBase Service Plans, we offer our customers in Oceanport, New Jersey five different options to maintain and monitor their generators. If you've lived through any of our recent storms, then you know that the most important function of a standby generator is that it starts and operates as intended and when it’s needed. Preventative maintenance in the form of a scheduled maintenance contract will ensure that your generator runs when it's needed most. 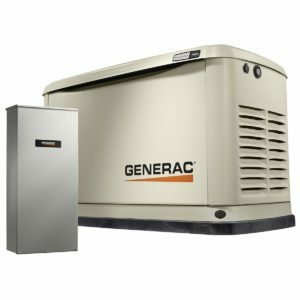 As a Generac authorized service provider, our PowerBase Service Plans provide affordable monitoring, scheduled maintenance, maintenance services, and extended warranty plans for 8 to 22 kW air cooled Generac, Centurian, and Honeywell generators.